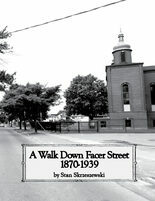 Stan Skrzeszewski is a philosopher, writer, consultant and librarian (retired). His focus now is on curating creative projects, such as writing poetry, history, displays and performance pieces. A frequent speaker in Canada and internationally on topics ranging from Canadian history, library trends, philosophical analysis, entrepreneurship, ethics, cosmopolitanism, nomadism to the animate nature of information. He has organized and facilitated "Philosopher Cafes"​ and open conversations as programs in public libraries, art galleries, museums and other locations as well as at conferences, workshops and other special events on a wide range of topics. 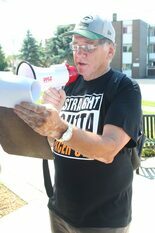 Recent topics include: the War of 1812, success, euthanasia, altruism, democracy, family and aging. He has developed a post-secondary course in entrepreneurship, a non-credit course in ethics for seniors, an introduction to art, and an introduction to wine. 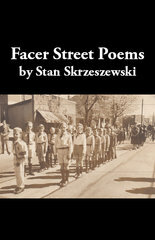 `Facer Street Poems` (2016) is his first publishing with Grey Borders Books.